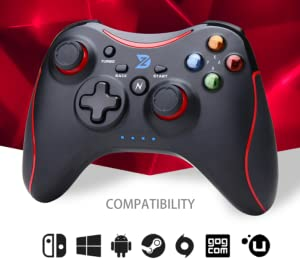 Professional services: If you have any problems when you using the gamepad, please email to contact us first, we will solve the problem at once. 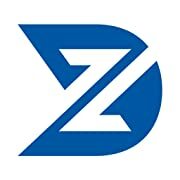 ZD is a brand created by a group of players who love games. We have the enthusiasm for the game, for more players who need peripherals, research and development, production of game peripherals with high cost performance. Your support allows us to make cool, even better products! Switch mode, A, B, X, Y have two key arrangement, please read the instructions, choose your own habits of the arrangement. When you need support about our product,we will try our best to solve your problem asap. Auto recognition, no manual conversion mode, the controller automatically change switch, PC, Android switch, plug and play. Joystick recision adjustment：According to the needs of the game, in different precision switching, you can get a better game control sensitivity and direction control speed, so that your control is impeccable. Lasts for 15 hours working time, built-in rechargeable battery, double shock vibration. PC, Switch, Android achieve intelligent matching, does not require any additional operations, intelligent adaptation of the corresponding host, reduce your trouble when using.